Back in September, Great Barrington, Massachusetts formalized a committee dedicated to continuing the work of one of its most celebrated residents: W.E.B. Du Bois. The move came a year after the 150th birthday celebration of the famed civil rights activist and author. Gwendolyn Van Sant is one of the committee’s 12 members. She tells WAMC that the W.E.B. Du Bois Legacy Committee is now unveiling the first fruits of its efforts – including a staged presentation at the Mahaiwe Performing Arts Center tonight. Frances Jones-Sneed (center) of MCLA discourses of the life and legacy of Dr. Martin Luther King Jr. Listening, at her right, is Bard College at Simon's Rock Prof. Justin Jackson. To her left is Wesley Brown, visiting faculty member at Simon's Rock. Great Barrington — It may have been one of the most bitterly cold days in memory, but the oppressive weather could not extinguish the warmth and hope South County residents felt on the occasion of what would have been the 90th birthday of Rev. Martin Luther King Jr.
About 70 people turned out Monday at the First Congregational Church for a service and interfaith celebration honoring the birthday and teachings of the iconic civil rights leader. And there was also prayer, song, dance and a panel of distinguished scholars, all of whom have studied and written about King and African American history. The event was hosted by a number of organizations, including the Du Bois Legacy Committee, which was formed in 2016, in part to spearhead a townwide celebration of the 150th birthday of W.E.B. Du Bois, a renowned scholar and civil rights activist who was born in Great Barrington and graduated from Searles High School. Rev. Cara Davis, the longtime former director of Construct Inc., welcomed attendees, while Rev. Mattie Conway, the sister of the late Rev. Esther Dozier of the Clinton A.M.E. Zion Church, led a prayer before all joined in singing “We Shall Overcome,” the iconic gospel protest song and anthem of the civil rights movement. Also on the musical agenda was “Lift Ev’ry Voice and Sing,” the NAACP anthem written by Great Barrington resident James Weldon Johnson. 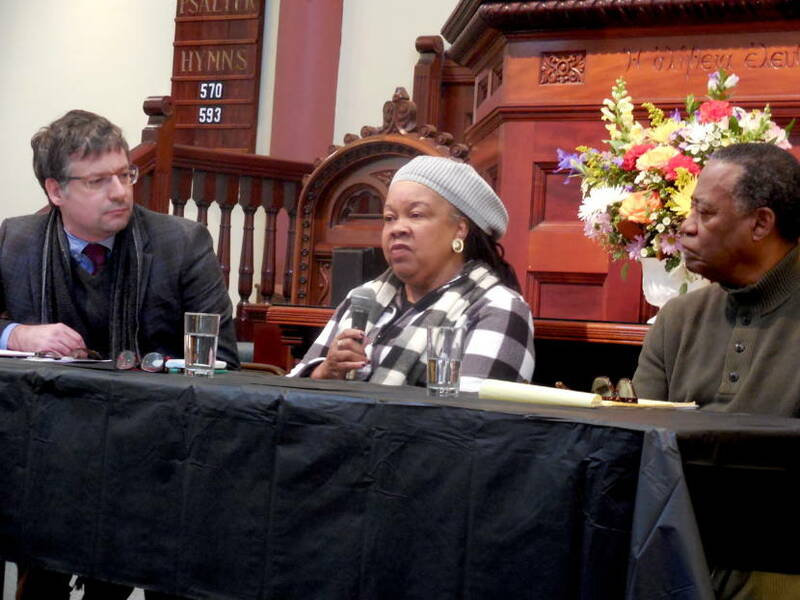 The panel discussion on King and his legacy featured Wesley Brown, Frances Jones-Sneed and Justin Jackson. Brown is a visiting faculty member at Bard College at Simon’s Rock and a professor emeritus of English at Rutgers University. Brown is also the author of three novels; he edited a book on Frederick Douglas and is one of four narrators of a film on Du Bois, “A Biography in Four Voices.” Brown also worked in the 1960s on voter registration in Mississippi. Jones-Sneed is professor emeritus of history, political science and public policy at the Massachusetts College of the Liberal Arts in North Adams. She has directed grants for the National Endowment for the Humanities and is co-director of the Upper Housatonic Valley African American Heritage Trail. Jones-Sneed is also editing the autobiography of 19th century minister Samuel Harrison and is working on a monograph about Du Bois. Jackson is a historian, author and assistant professor of history at Simon’s Rock. Jackson has also lectured on Du Bois. He has completed a book which is currently under contract to be published, entitled The Work of an Empire. Last year, Jackson wrote a three-part series for The Edge entitled, “W.E.B. Du Bois and his politics: A complicated and controversial legacy.” Click here to read it. Among the questions Jackson asked Jones-Sneed and Brown was how best to further King’s message and the most effective method of activism for social justice and against racism. Both responded that the local level is the best place to start. In addition to the brain food, there was entertainment provided by Pete Wilson and company. Wilson is a local musician who was a member of the Clinton A.M.E. Zion Church, which is being restored. The project took a big step forward last week when the group leading the restoration hired a design and architectural team. Indeed, Wray Gunn, who chairs Clinton Church Restoration, took the opportunity to pass around the collection plate to raise money for his group. 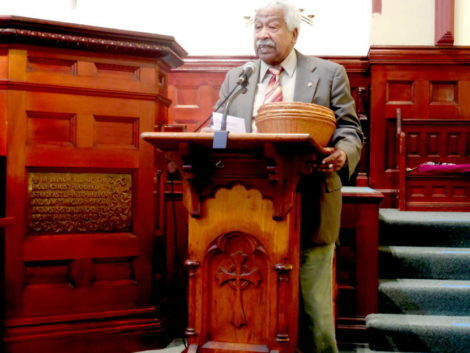 Former First Congregational Church Pastor Charles Van Ausdall, who was known as “Pastor Van” and retired in 2016 after 30 years at the church, also put in an appearance and spoke briefly. Mission: To preserve and promote Great Barrington native W.E.B. Du Bois's legacy as a scholar and activist for freedom, civil rights, progressive education, economic justice, and racial equality. No longer in Great Barrington is W.E.B. Du Bois a Dream Deferred. The Great Barrington Du Bois Legacy Committee was born on September 3, 2018, at 7:14 pm. It was joyous occasion, with the town Selectboard voting the Legacy Committee into existence, unanimously, with a packed room witnessing history being made. The Du Bois Legacy Committee had been conceived in January 2017, albeit unwittingly, when Randy Weinstein, the director of the Du Bois Center at Great Barrington, and Selectboard members Steve Bannon and Ed Abrahams met over coffee. Their agenda was arrow-straight. W.E.B. Du Bois would be turning one hundred fifty on February 23, 2018, and the town ought to commemorate the milestone event. 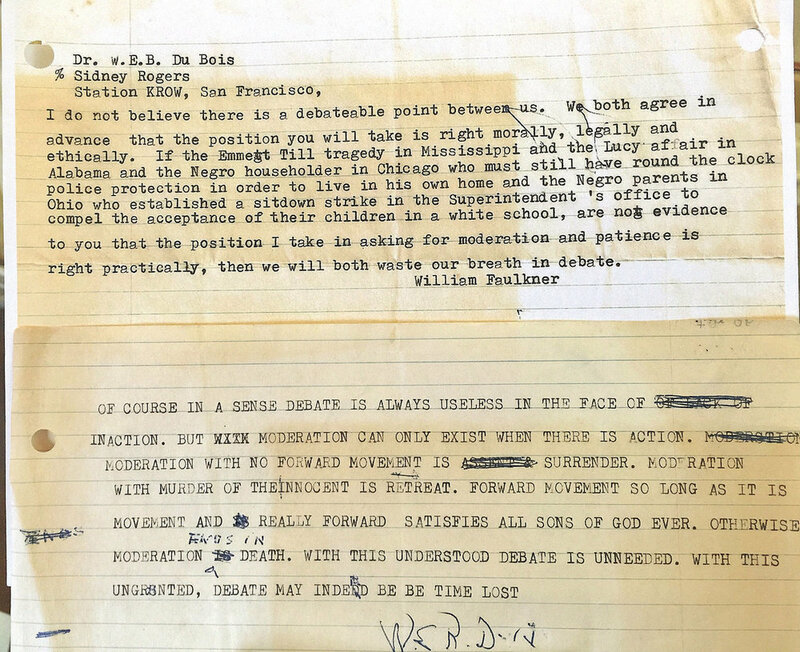 They agreed that the anniversary celebration would embrace the "whole" Du Bois, without editing out uncomfortable truths, without apology, and afterward honor his post-150th legacy. The following month, the full Selectboard gave the green light, and things moved rapidly. Randy contacted Gwendolyn Hampton VanSant, the ceo of BRIDGE, and an old friend. They would undertake organizing Great Barrington's 150th Du Bois Festival together. The co-chairs soon established a town-supported legacy committee, the genesis of the current town-appointed committee. The community stood squarely behind the town. The aim of the committee was visible to everyone, with regal banners up and down Main Street setting the tone for the year ahead, fluttering core Du Boisian values – civil rights, progressive education, economic justice, and racial equality. It was a one for all, all for one endeavor. Businesses and organizations signed on enthusiastically, some providing venues and funds. Academic institutions from Great Barrington to Williamstown to Amherst lent resources and expertise, while noted Du Boisians like Cornell Brooks and David Levering Lewis contributed valuable historical perspectives. Volunteers became an orchestra, together planning and running programs intended to entertain, teach, and uplift. Whether discussing German influences in Souls of Black Folk and the roots of the Civil Rights Movement or viewing a stunning student mural, rare artifacts, and an onstage tour de force performance, presenters set the bar high in order to assure the integrity of the Du Bois 150th. The Festival brought out the best in town government and its citizens, a sense of something larger than self, a commitment to close ranks when it came to permanently honoring Du Bois. No more dreams deferred. The community is indebted to the pioneering work of Du Boisians- scholars and activists, past and present. Their struggles on behalf of Du Bois live in the town's rich history and make us even stronger with resolve. Their dream became reality on September 3, 2018, when the Selectboard avowed "to preserve and promote Great Barrington native W.E.B. Du Bois's legacy as a scholar and activist for freedom, civil rights, progressive education, economic justice, and racial equality." An official guardian of the Du Bois flame, Great Barrington may well be the first municipality in the country to so honor the Civil Rights icon. Rarely is history created before your very eyes revealing a community's best angels.